For those trying to read developments between Israel and Gaza over the past weeks, the picture has been unusually puzzling. A month ago European diplomats and Palestinian officials in the West Bank suggested that Israel and Hamas were taking “baby steps”, as one Palestinian analyst termed it, towards a truce. Then earlier this month, as an attack blamed on the extremists of Islamic State (ISIS) killed dozens in Sinai, an Israeli general accused Hamas of supplying the weapons used against the Egyptian military. A short time later, a group of Israeli army commanders urged the easing of the near-decade blockade of Gaza as a way to end Hamas’ isolation. So what’s going on? 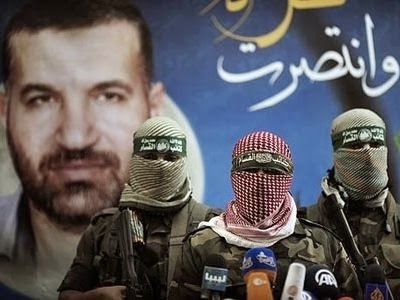 Does Israel want Hamas weakened or strengthened? The uncertainty reflects Israel’s increasingly convoluted efforts to “manage” Gaza faced with the fallout from its series of attacks on the enclave beginning in late 2008 with Operation Cast Lead and culminating in last year’s Protective Edge. International activists aboard a humanitarian flotilla failed again this month to reach Gaza and break Israel’s physical siege. But more difficult for Israel is maintaining the blockade on information out of Gaza. The problem was illustrated this month by a new app from Amnesty International that allows users to map 2,500 Israeli air strikes on the enclave last summer and interpret the resulting deaths and destruction from pictures, videos and testimonies. The software, says Amnesty, reveals specific patterns of behaviour, including attacks on rescue vehicles and medical workers and facilities. It allows any of us to turn amateur war crimes sleuth for the International Criminal Court in the Hague, and moves nearer the day when Israeli soldiers’ impunity will end. The difficulties for Israel of controlling the narrative about Gaza were underscored last week. Judges at the Hague ruled that the court’s chief prosecutor had erred in refusing to investigate Israel for war crimes over the killing of 10 activists aboard an earlier flotilla, in 2010. The judges determined that the prosecutor, in dismissing the case as lacking the necessary gravity for the Hague court to intervene, had ignored the wider, political context. Beyond the harm done to the passengers, Israel’s attack on the flotilla delivered a blunt message to the people of Gaza and the international community: that Israel could deny humanitarian aid to the enclave by enforcing the blockade. The policy needs to be tested against the principles of international law, suggested the judges. Not only does their ruling reopen to scrutiny the episode of the flotilla, but it puts considerable pressure on ICC prosecutors to ensure they investigate Protective Edge thoroughly too. Meanwhile, frustration at the failure by international institutions so far to hold Israel to account is driving other ways to punish Israel, notably the grassroots boycott, divestment and sanctions (BDS) movement. Israel is slowly losing this battle too. The US state department declared late last month that it would ignore the provision in a new trade law passed by Congress that requires the US to protect Jewish settlements from boycotts. In effect, a limited boycott has won the White House’s tacit approval for the first time. The shockwaves from Israel’s rampages in Gaza are having political repercussions in the tiny enclave too. Polls indicate that among a small but growing minority of Palestinians in Gaza support is shifting towards ISIS. They blame Hamas for failing to capitalise on its relative military success last summer. Gaza is still ravaged a year on, and continuing Israeli restrictions mean the huge reconstruction project has barely begun. The people of Gaza expect their rulers to end the blockade. Israel’s recent confusing behaviour in part reflects a belated realisation that it needs to put out these various fires. That explains revelations in the Israeli media that Israel is quietly cooperating with the Hague court’s investigators, breaking with its past refusal to deal with international inquiries. It hopes to forestall an ICC investigation by demonstrating that it is taking action itself. Last week Israel announced it would investigate soldiers’ testimonies of war crimes collected by Breaking the Silence, a whistleblowing group that as recently as last month the Israeli government called traitors. In addition, Neria Yeshurun has become the first senior commander to be placed under investigation, after a recording emerged in which he stated he had ordered the shelling of a Palestinian medical centre to “avenge” the killing of one of his officers. Asa Kasher, in charge of the army’s code of ethics, recently argued that notorious incidents such as the massive destruction of Rafah after a soldier went missing – the so-called Hannibal procedure that probably claimed more than 150 Palestinian lives – reflected operational misunderstandings rather than policy. Errors, he implied, were not war crimes. A group of Israeli military commanders have also argued that it is time to offer Gaza some relief, by easing – if only marginally – the blockade. None of this is being done from conscience or out of recognition of Palestinian rights. The moves may be conducted in bad faith but they nonetheless indicate a growing realisation by some in Israel that the international community and ordinary Palestinians in Gaza need to be placated. At the same time, according to local analysts, Israel is pursuing a dual policy towards Hamas. On the one hand, Israel hopes diplomatic gains will bolster Hamas’ political wing against more threatening newcomers like ISIS. On the other, it wishes to weaken Hamas’ military wing to avoid it developing the ability to threaten Israel’s control over the enclave. As ever, Israel is keen to sow divisions where possible. The Israeli government’s repeated likening of Hamas and ISIS, and the recent suggestions of military ties between the two in Sinai, are intended to remind the international community of the threat Hamas’ military wing supposedly poses to regional order. Further, it is better for Israel that Hamas commanders are forced to contend with Egypt’s as well as Israel’s military might, stretching it on two fronts. Israel believes it can tame Hamas’ political leadership, making them as cautious and subdued as Mahmoud Abbas’ Palestinian Authority in the West Bank. But it also wants to maintain the pressure on Hamas’ military wing by emphasising that it is little different from the beheaders of Islamic State. Israel’s compulsive need to dominate Palestinians trumps all – even as it finally dawns on a few generals that Gaza’s endless immiseration is no policy at all.